Buying a property, especially for first-time home buyers, can entail an enormous amount of decision-making and often the process can be so overwhelming that buyers can end up making ill-advised decisions. You are lucky if are able to find a good real estate agent or a mortgage company to work with; they can usually help you through the homebuying process to ensure you are able to find the best mortgage program that suits your unique needs and circumstances. Real estate agents, however, are not as adept in real estate law compared to real estate lawyers, who can scrutinize state laws and provide legal advice related to real estate, so it is highly recommended that home buyers enlist the help of a real estate attorney to assist him in the homebuying process. So what is a real estate attorney? He is someone who looks after the best interest of his client from the very beginning until the end of a real estate deal. In addition to providing legal advice, he might also be able to help you make sure that the property you are getting is free from encumbrances or any sort of problem associated with the title to the property. After you have found your preferred real estate agent, it’s time to look for the perfect real estate lawyer. Below are a few things to help you get started. The same you began your search for a great real estate agent, start by asking around from people you trust. Your friends from work or your neighbors must have hired a lawyer that specializes in these transactions before. Ask them about their experience and whether they would be glad to recommend the same lawyer to you. If you know a lawyer you trust, perhaps your family lawyer, ask him if he can recommend another lawyer who specializes in real estate and can help you close on a transaction. As soon as you have found two or three recommendations, get in touch with them over the phone and discuss your situation. The best ones are usually those that make you feel comfortable and show interest in your needs and concerns. Ask about your potential real estate attorney’s experience. Experience is perhaps one of the most essential qualities one must look for in getting a real estate attorney. How long has he been working on real estate in this particular area? Remember that tax laws and other laws vary from one state to another, so it is crucial that you are getting someone who understands the rules, customs and practices in the state where your dream property is located. Real estate lawyers don’t work alone, so it’s important that you find out who else would be working with you along the way. You would be asked to disclose plenty of information about your financial and sometimes personal situation, so it’s important that you know who you would be working with. Your lawyer would most likely get help from paralegals to make sure the piece of real estate you are getting is free from outstanding mortgage, liens and other encumbrances that might cause you trouble down the road. 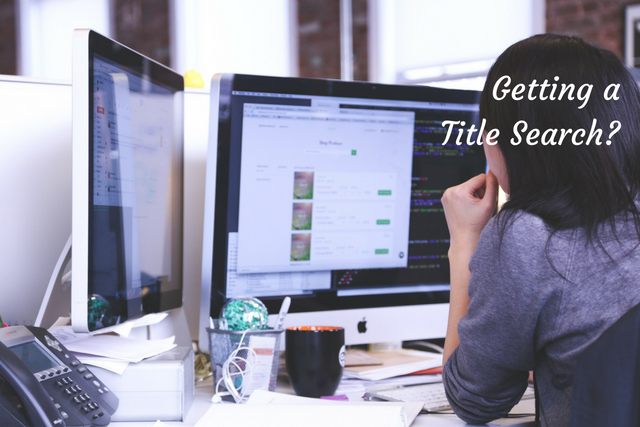 You are lucky if you find a real estate lawyer who works with title agents at the same time. Paul Caver of Infinity Title, for instance, has a team of experienced title agents and escrow officers that expertly assist anyone in the homebuying process and ensure that the investment is protected. After all, a home is one of the most important piece of investment one can ever make in his lifetime.